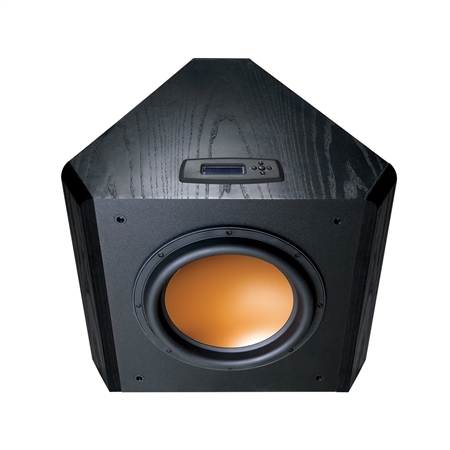 Featuring a triangular-shaped small footprint design the RT-12d employs three ultra high-output 12-inch Cerametallic drivers (one front-firing woofer two rear-firing passive radiators) and a potent 800-watt RMS amplifier. Fitting nicely into a corner the RT-12d's unique enclosure style allows the passive radiators to face both walls of the corner for maximum output. 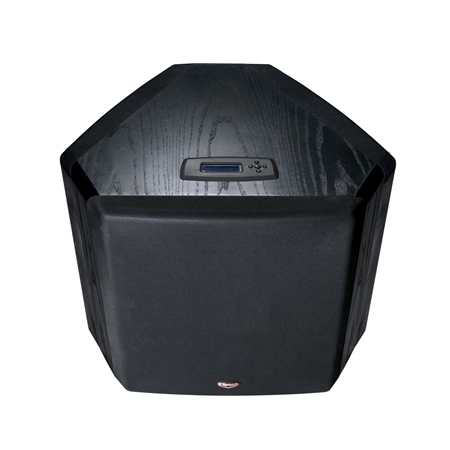 Through proprietary DCS technology this subwoofer gives you more control and flexibility with different source material. The DCS digital user-interface offers quick and easy adjustment of all functions including three equalization modes (flat depth and punch) and five user-adjustable presets (music movie night and two name-your-own settings) to create specific listening preferences. By utilizing a patent-pending Adaptive Room Correction (ARC) process and the included calibration microphone the RT-12d ensures ideal performance in every listening area at the touch of a button. It also comes with an IR sensor for operation with select learning remotes or control systems. 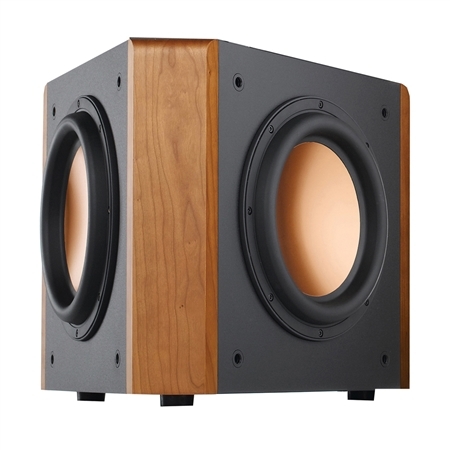 Meticulously crafted in a cherry or black ash wood veneer finish the RT-12d has an elegance and style that perfectly anchors your home theater or two-channel stereo music system.